Photo via Red Window Communications. Members of the LGBTQ community in Oxford have a new resource for connecting with others who share their challenges and experiences. Director of Community Relations Brian Whisenant said Oxford Treatment Center initiated the group in January as a service for its patients in early recovery from drug or alcohol addiction. The center chose to open the group to the public as its value became clear. 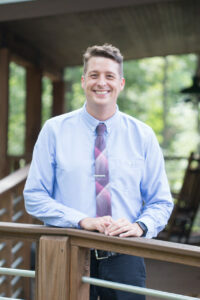 The support group will cover topics that LGBTQ community members face in their daily lives, ranging from faith and spirituality to substance use and abuse and relationships, Whisenant said. Brian Whisenant said Oxford Treatment Center had been seeing success in recovery among those patients who came out of the closet while they were in treatment. Photo via Red Window Communications. Oxford Treatment Center provides a complete continuum of care for substance use disorders at two campuses in Lafayette County. At the residential campus in Etta, Miss., patients can opt to take part in an LGBTQ therapy group as part of their treatment schedule. The new support group at the outpatient office extends the benefits as patients transition from residential treatment into an outpatient level of care. Clinical Therapist Kana Crumby, MAPC, CMHT, who leads the therapy group at the Etta campus, said focusing on the LGBTQ experience is essential in treatment and recovery. People in that community are 25 percent more likely to have substance-abuse issues than heterosexual people, she said. They are also three times more likely to have a mental illness. Adding to the challenges, people in the LGBTQ community are less likely to seek treatment for addiction because of the stigma and bias surrounding their sexuality, Crumby said. Whisenant said Oxford Treatment Center had been seeing success in recovery among those patients who came out of the closet while they were in treatment. In designing the content for the community support group, Whisenant reached out to Jaime Harker, Ph.D., professor of English and the director of the Sarah Isom Center for Women and Gender Studies at the University of Mississippi. She agreed to act as a resource for the members of the group. With a group that can focus solely on connecting and sharing with others, a safe space will be created that has been difficult to find in Oxford, Harker said. “I’m really hoping people will use this support group as a way to learn more and get resources for how to live a healthy life,” she said. Whisenant said those who have attended the initial meetings said afterward they had no idea how much they needed to talk about LGBTQ issues with others who can relate. 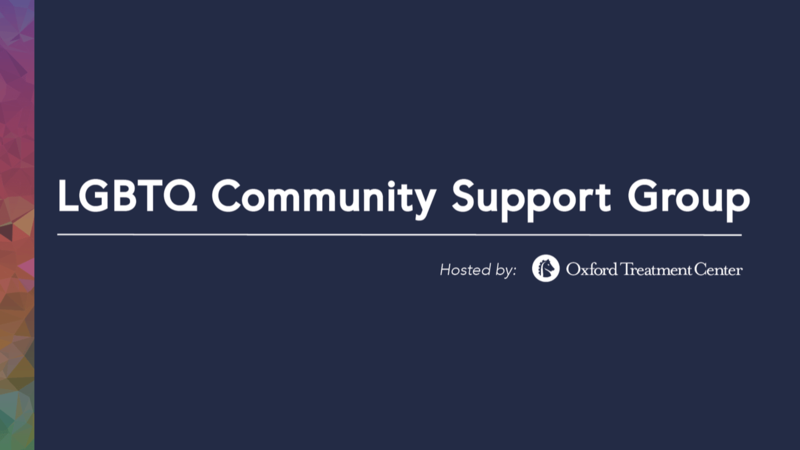 For more on Oxford’s new LGBTQ Community Support Group, visit https://www.oxfordtreatment.com.